Felting is a rewarding craft that takes knitting a step further. This fun book shows you how to knit 30 very different bags, and felt them to create designs that are sturdy and practical yet eye-catching and stylish. It includes beautiful photography of the bags, close-up details and plenty of stunning images that show the inspiration behind each of the designs. There is something for everyone, both in terms of ability and taste. 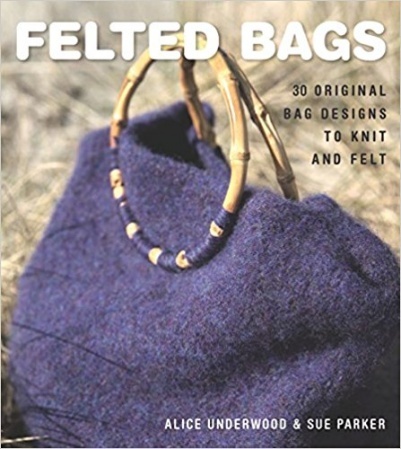 Easy-to-follow knitting patterns, difficulty ratings and an illustrated section dedicated to explaining the knitting and felting techniques means that even complete beginners can have a go at creating a range of felted bags.